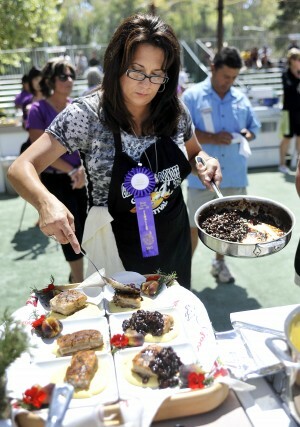 You should know by now that I’m counting down all week to the Great Gilroy Garlic Cookoff this Saturday, July 27! I’ll be tweeting live from the Cookoff Stage at the 35th Gilroy Garlic Festival with all the action! Don’t miss it! 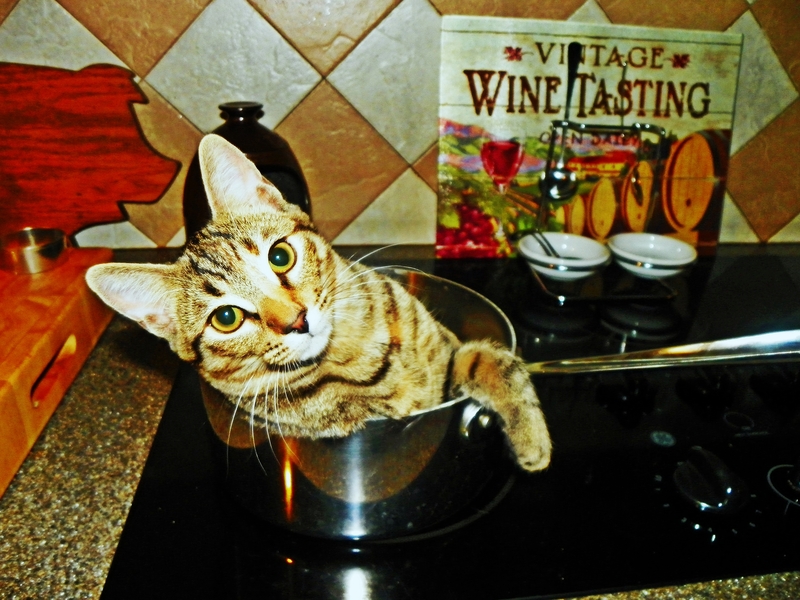 It’s a great cookoff, and I’ve been told that there have been changes to the stage that you won’t want to miss. I feel so lucky to have the opportunity to be on stage again. Even though I won’t be competing, I get to experience the excitement and frenzy of the competition without the stress. And the festival is so much fun. I’m looking forward to spending some time checking out the entertainment, artists and other garlicky offerings of the 35-year old festival. 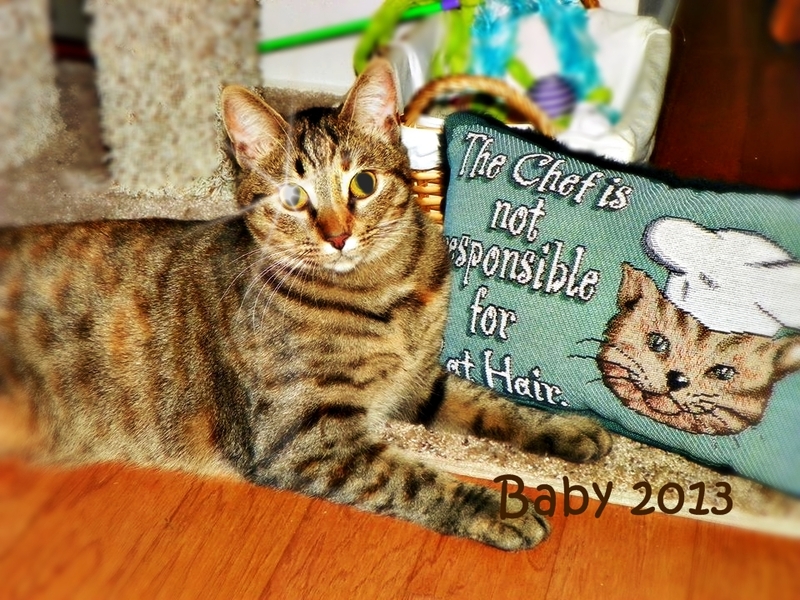 It’s Easy to Grow Your Own! All you need is a bulb of garlic. Peel the papery skins off and separate the cloves. You’ll plant the cloves upright in a little furrow in the soil with the pointed end up. 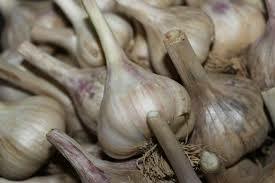 Plant the garlic cloves about two inches apart from each other, and cover with about an inch and a half of soil. You’ll want to plant the cloves in early Fall. Soon enough, you’ll have little green shoots poking out of the ground – a nice sight to see amongst all the brown of November. You’re going to have to have some patience. Garlic takes about 9 whole months to mature. Keep this in mind if you have other planting you want to do in the Spring. Make sure you’ve got a dedicated garlic bed so that you won’t be tempted to dig them up too soon. The green shoots will get bigger. Be patient. Despite their size, the garlic still has a little way to go at this point. In May, each garlic plant will sprout a long shoot in between its green leaves. When the shoot gets a seed head at the top, you can snap it off. Now you’ve got a garlic scape. 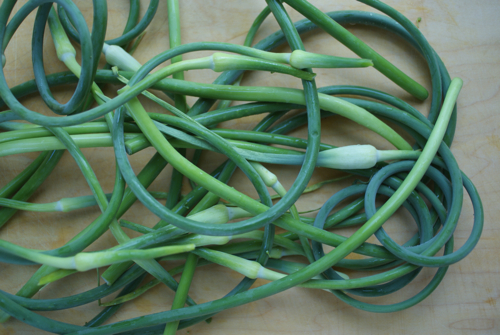 You can stir-fry the garlic scape with some veggies-yum! After your scape party, you still need to wait a few weeks for the green leaves start to turn brown. Once that happens, your garlic is finally ready to dig up. But wait, you’ve still got another couple of weeks to allow it to dry out. At this point, you chop off the stalk so it’s about two or three inches above the garlic bulb (like you probably see at the farmers market). When the stock is dried out, it’s finally ready to eat! But never fear, if you missed the ideal planting time, you can always buy your garlic. I would recommend garlic from Gilroy, California. Gilroy is known as the “Garlic Capital of the World.” Did you know that California ranks first in the United States in both the number of farms growing garlic and in harvested acres (USDA/NASS ). California produces approximately 87% of all commercially grown garlic in the United States. Gilroy is a big part of that action. And the Gilroy Garlic Festival celebrates it! More than two tons of California Heirloom garlic are used at the festival. (www.thepacker.com, 7/24/2013.) That’s a lot of garlic! Tune in tomorrow for no 1 of my Top 5 Things I Love About Garlic! Can you guess what it is?